Lord Alexander Carlile, the lawyer for Bangladesh's jailed opposition leader Khaleda Zia, was deported from Delhi airport after his visa was found to be invalid. 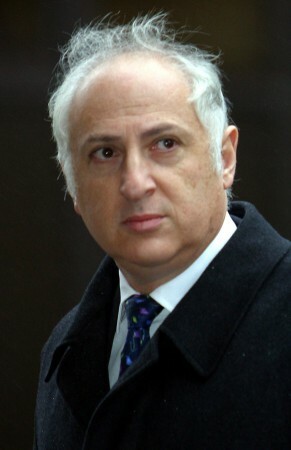 British Member of Parliament (MP) Lord Alexander Carlile was denied entry into India on Wednesday and deported from the Indira Gandhi International Airport in New Delhi for not having a proper visa. The MP, who is also a lawyer for Bangladesh's jailed opposition leader Khaleda Zia, flew to Delhi where he was scheduled to hold a press conference on Zia' status and other engagements. "Lord Alexander Carlile, a British national, arrived in New Delhi on July 11, 2018, without having obtained the appropriate Indian visa. His intended activity in India was incompatible with the purpose of his visit as mentioned in his visa application. It was therefore decided to deny him entry into India upon arrival," an MEA spokesperson said. The press conference that Carlile was due to address has been cancelled after his deportation. It was called so that Carlile could brief the media about jailed former Prime Minister Zia's situation, which the Bangladesh Nationalist Party, calls as "baseless allegations" against her. Experts claim the British MP has close ties to the outlawed extremist group Jamaat-e-Islami, and he is defending the Bangladesh Nationalist Party (BNP) and Zia at their request. The Sheikh Hasina government has also denied entry to Lord Carlile, and the move by India is seen as an attempt to please the neighbour. Former prime minister Khaleda Zia has been jailed after having nearly three dozen criminal cases filed against her. Her party, the BNP, says the cases are a plot to keep her and her family out of politics. In February this year, she was convicted and sentenced to five years in the first case, where she was accused of stealing $253,000 in foreign donations meant for an orphanage trust set up when Zia was PM between 2001 and 2006. The verdict almost certainly closes the door on Zia's participation in the general elections slated to be held later this year in Bangladesh.